The Yemeni Jew people are those Jews who originally lived in Yemen yet have since migrated to the United States. Between 1949 and 1950, the overwhelming majority of Yemen's Jewish population moved to Israel. Many have since then moved to the United States. They have a unique socio-linguistic-religious tradition that marks them distinctly different from other Jewish groups. They are generally described as belonging to "Mizrahi Jews" tradition. In daily life, they speak a Judeo-Yemeni-Arabic language. Click here to view the Association of Yemeni Jews. To view a list of Yemeni Jewish synagogues, click here. Pray God will send Christians to live among and minister to the Yemeni Jew people. 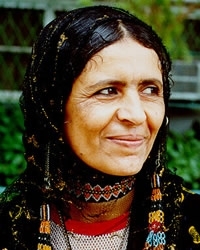 Pray God will create unrest in the hearts and minds of Yemeni Jew. Pray Christians will listen for God's call to share the message of Christ with Yemeni Jews.